Knowledge and Experiences - With architecture bachelor degree and years of work experiences in the real estate field, I know better about HOME. Powerful marketing system - MLS system, Newspapers, Internet, Flyers, Direct mail, Network, you name it. Strong negotiable skills - always work for your best interest. Your success is my goal. Work with Team - selected mortgage brokers, inspectors, staging companies, interior designers, photographers, lawyers, etc. only a team of experts can assist you with the sophisticate real estate investment. 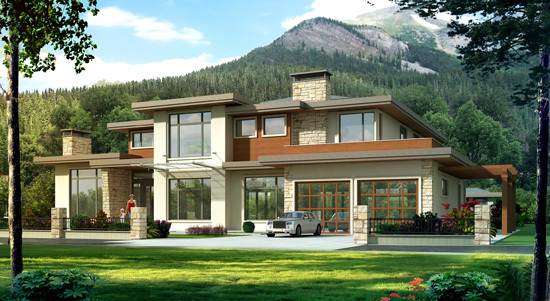 Spectacular new home Located in a prime British Properties location in West Vancouver will offer almost 6,000 square feet of pure luxury in a 15,000 square foot lot! 5 bedroom plus office; top line appliances; radiant floor heating plus air conditioning and HRV system, outdoor swimming pool and hot tub, perfect gym or nanny's room. Please call Liang at 604-518-6222 for further information.